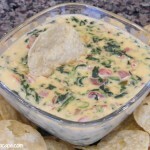 Parmesan & Bacon Dip - Who Needs A Cape? 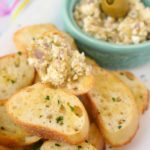 Making your own dip for holiday entertaining is easy! 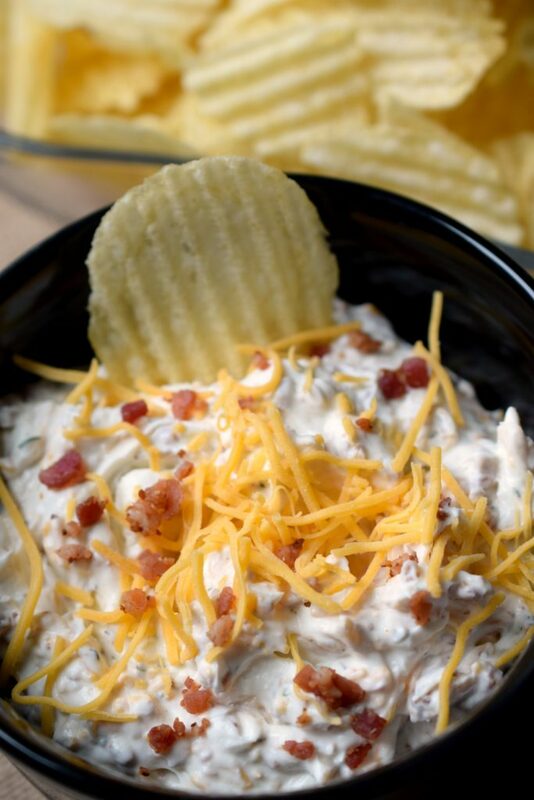 A bowl of Parmesan & Bacon Dip will disappear quickly, you’ll love the flavor combo! We can officially say that Thanksgiving is next week! I couldn’t be more excited, all the festivities with family and friends kicks off the holiday season in the best of ways. For our family we have very casual gatherings, nothing elaborate or stuffy, just casual ‘come as you are, the door’s always open’ type of get-togethers. When I say casual I’m referring to good food, a relaxing atmosphere and plenty of great conversation. My husband has 7 siblings, and countless (no, really we’ve lost count) nieces & nephews so at any given time we could really have a large number of visitors. Then there are our own kids, we have 6 and they range in age from 29 to 5. There’s usually at least a couple significant others tagging along or a friend who stayed over. 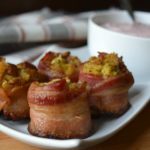 I need to be prepared to serve delicious food on the fly around the holiday season. 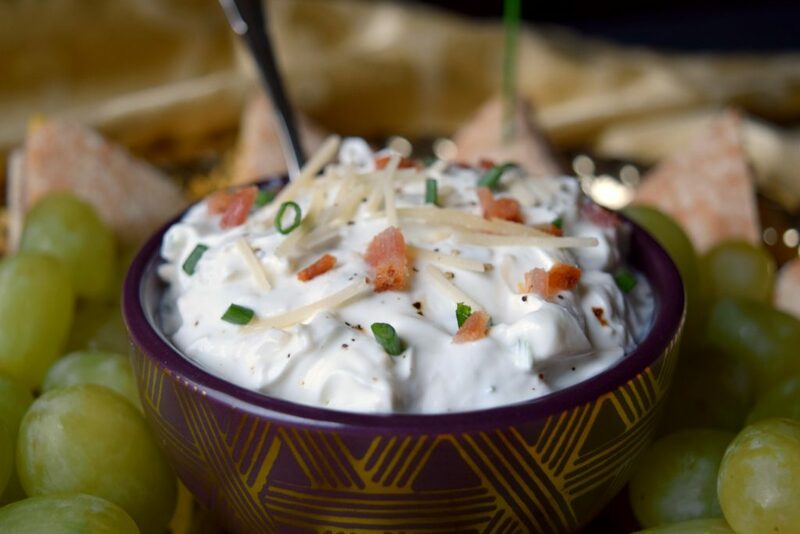 One food item that is always a hit when entertaining would be a dip. Whether hot or cold, dips get devoured! 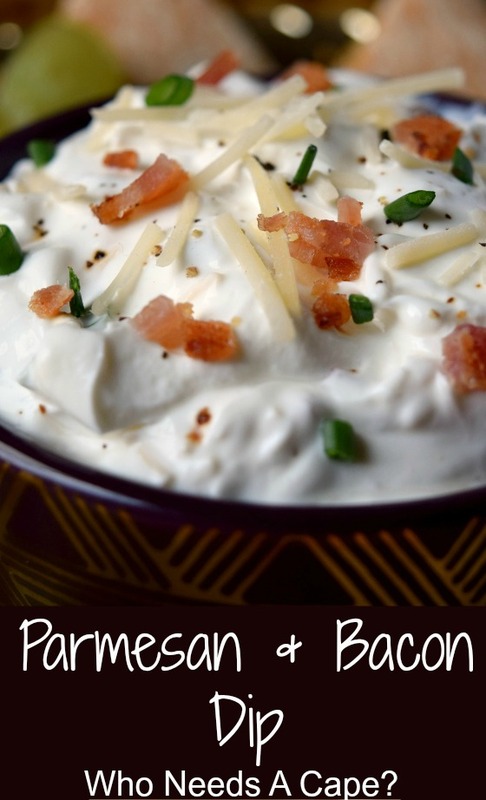 I’m sharing a tasty and oh so simple dip today: Parmesan & Bacon Dip. 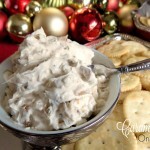 With only 5 ingredients this is easy and the perfect addition to any holiday spread. 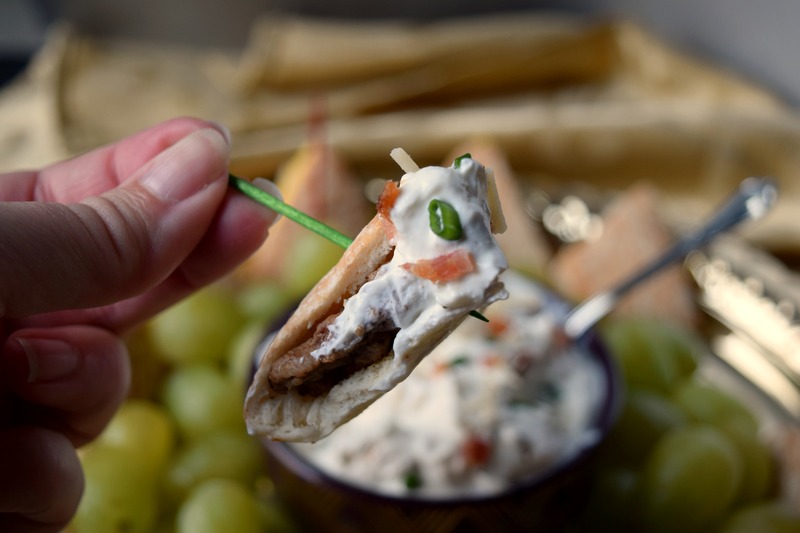 I chose to serve Sandwich Bros. Flatbread Pocket Sandwiches alongside this dip. 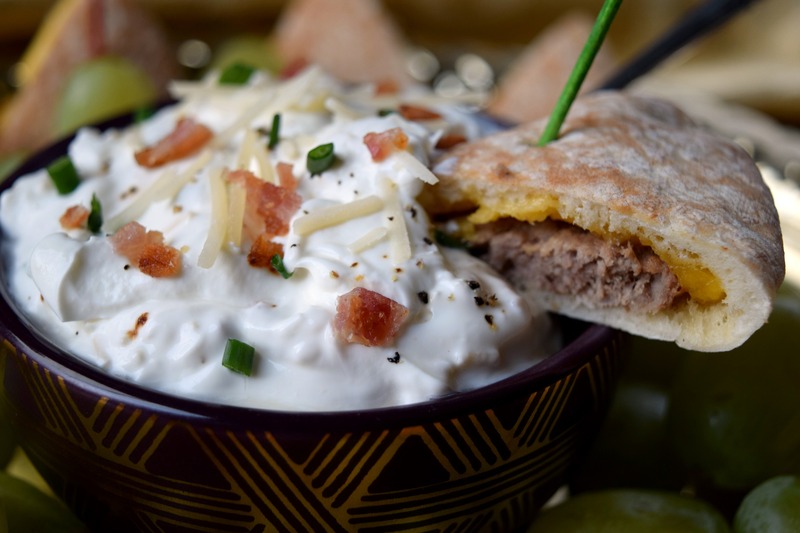 They make the perfect dippers that are hearty and flavorful. 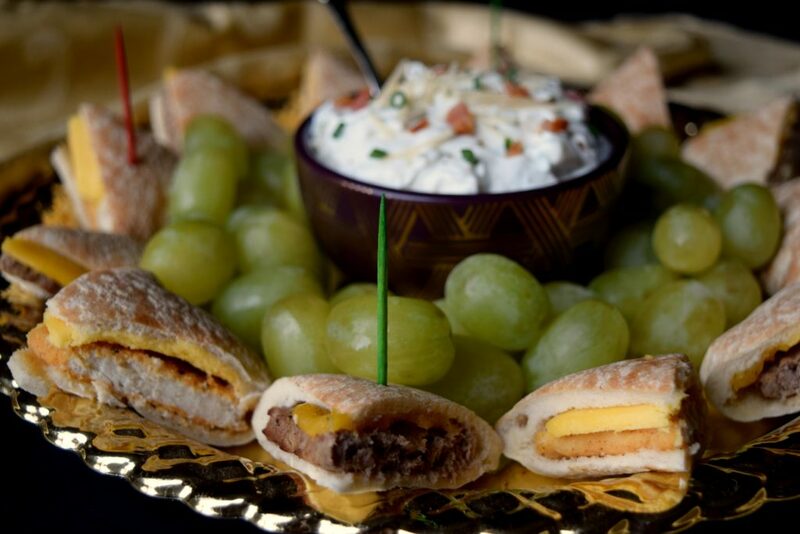 Sandwich Bros. Flatbread Pocket Sandwiches come in tasty varieties such as Angus Cheeseburgers, Chicken Melts & Gyro Sliders. 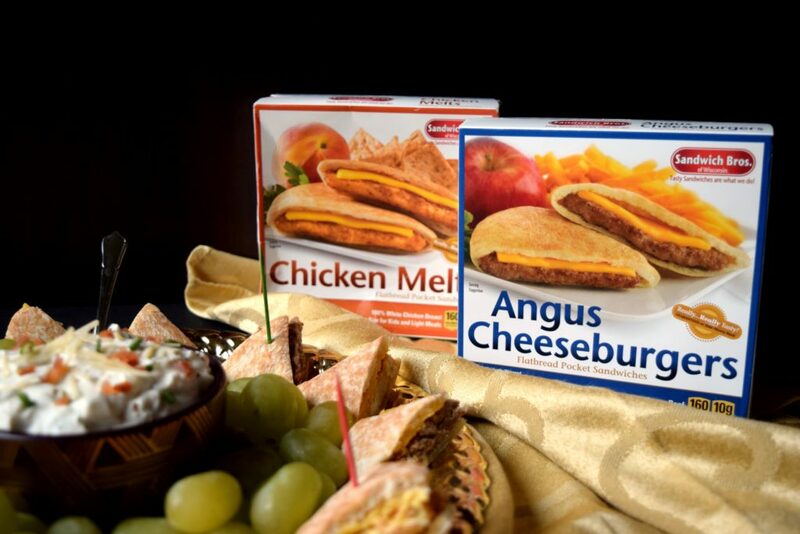 This particular day I prepared the Angus Cheeseburgers and Chicken Melts. I microwaved them according to the package directions. Then after cooling, I cut them into pie shaped pieces. 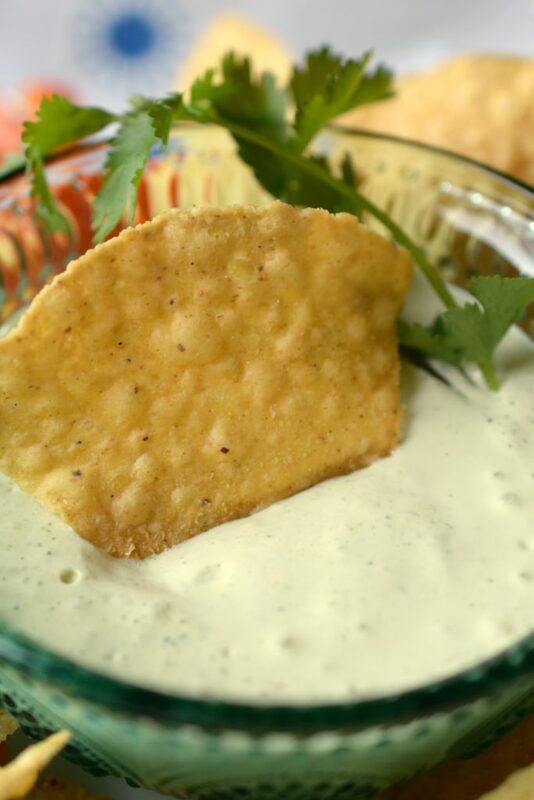 After making the dip, I arranged them on a serving tray and we had a fantastic snack in no time. Keeping the freezer stocked with Sandwich Bros. Flatbread Pocket Sandwiches during the holiday season is a sanity-saver. We’re always go-go-go running here and there! 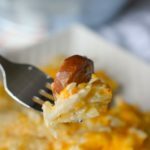 It’s nice knowing there’s something hearty and delicious we can prepare in just a short amount of time waiting for us at home. My teens enjoy snacking on these before heading out the door, sometimes they are still in hand as they are closing the door. Mix first four ingredients together. Add in freshly cracked black pepper to taste. Serve immediately or refrigerate until serving. Thanks Nettie, Happy Thanksgiving to you too! Delicious! 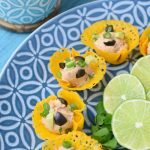 I love a simple dip and this looks enough to eat by itself or on my next burger!! Pinning! !